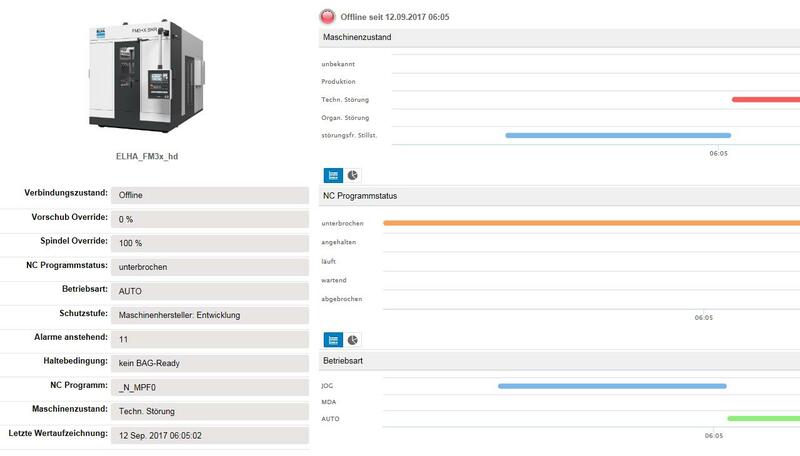 All functions and interfaces can be accessed locally from any workstation or mobile device in the factory network or from the CNC user interface. They are even accessible through the internet as far as a remote connection is available. 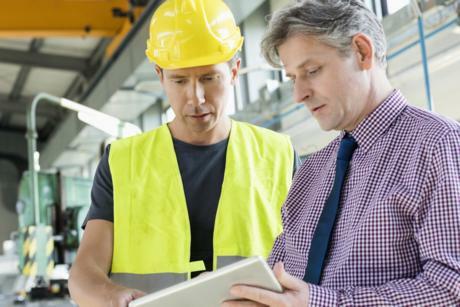 Optionally, a connection to any cloud solution is possible. On customer request, all relevant information can also be displayed via cloud applications and is available at any place and time wherever needed. Basis for the applications is a machine-installed industrial PC with a database which provides extensive analysis options. The MPM application offers a fast and clear overview of all relevant information regarding productivity in individually configurable diagrams (e.g. time bar, pie chart) in terms of a comprehensive capture of production data. 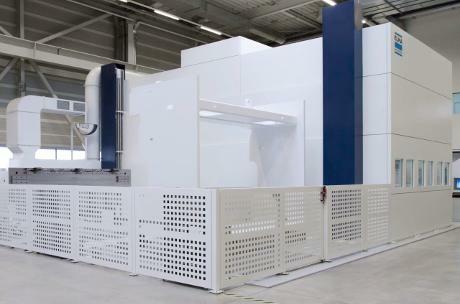 The MPA application provides detailed information on the machining process in real time. Information on power, vibrations, temperature and tool is determined and recorded for specific workpieces. These parameters are available for a later process analysis and optimization. Information of power consumption and vibration level can also be used for tool and process monitoring. Acceleration sensors installed closely to the tool or on the clamping device are utilized to stop any further axis movements in the event of collision immediately within 1 ms reaction time only. All relevant information for a later evaluation is saved in a report. Process-specific thresholds for vibrations and spindle drive power consumption can be defined. Based on this, related warning messages and other specific machine reactions e.g. immediate machine stop will be executed. The MHI application informs the operator for imminent failures of wearing or dirty machine components. 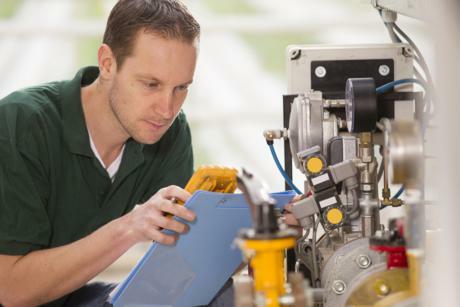 Therefore related measures for parts exchange, repair or maintenance could be initialized in an early stage and fitted into the production schedule. The information is based on trend analyses of existing vibrations from the machine function components. These are recorded in new condition and saved as fingerprints. 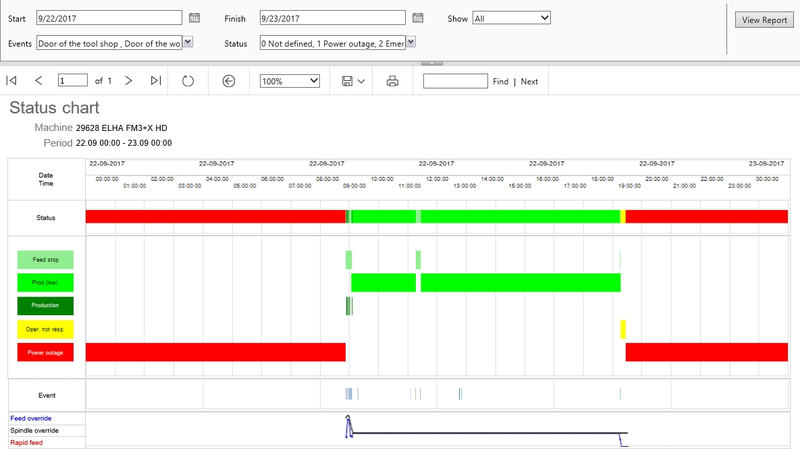 Further recordings are regularly stored in a database and trends of condition change can be visually analyzed at any time. If set thresholds exceed, the critical component can be determined in a more detailed analysis. 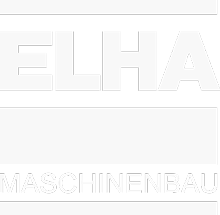 The user (optionally the ELHA service team) could also be informed quickly and precisely about required maintenance and service tasks. Warn and error messages are sent for example by e-mail and archived in the logbook. The MDS application offers comprehensive and realistic process simulations in a virtual environment. The basis is a virtual machine, which is linked to the kinematic model of the real machine and other machine parameters. 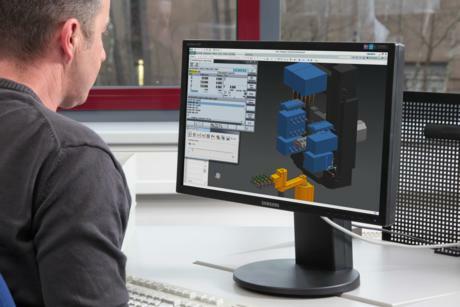 This allows the user to simulate the machining process via virtual NC control in a highly accurate accordance to the real process. 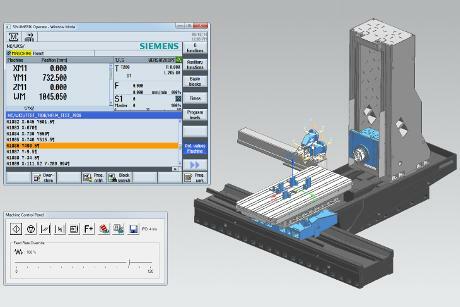 After simulation and testing in the virtual environment, the CNC program can be used directly. iDPS usually can be accessed over the local factory network. An industrial PC is used as an interface to the sensors and controller. 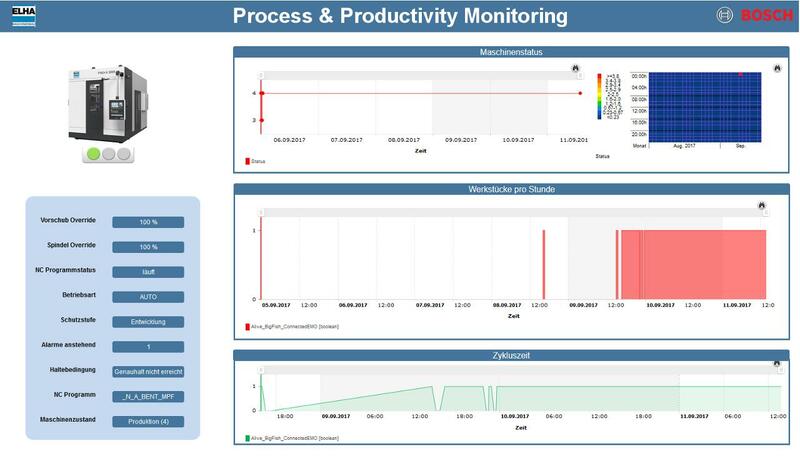 Independently from cloud suppliers, ELHA provides an optional cloud function with global access to the most important information through specially designed browser dashboards (e.g. 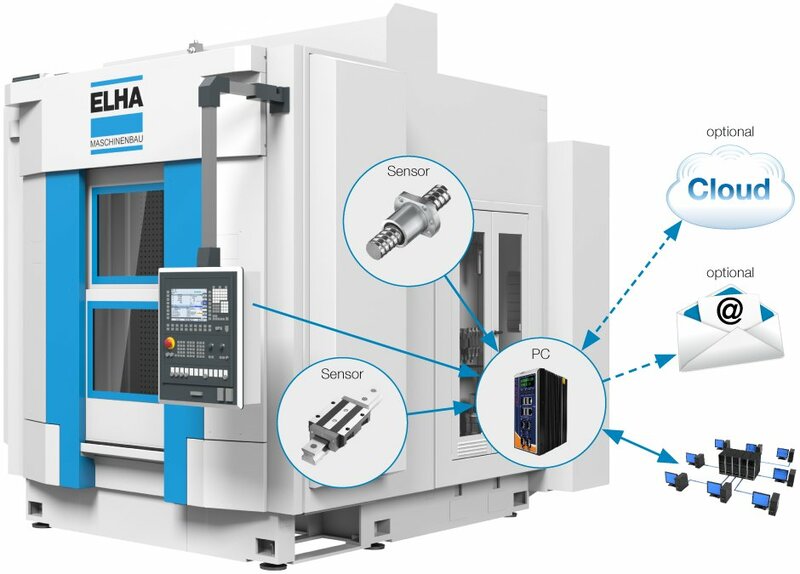 based on Bosch IoT Suite or SIEMENS Mindsphere).